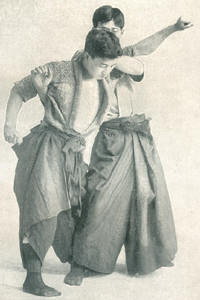 Is meaning the "art of softness", or "way of yielding", is a collective name for Japanese martial art styles including unarmed and armed techniques. Jiu-jitsu evolved among the samurai of feudal Japan as a method for defeating an armed and armoured opponent without weapons. Due to the ineffectiveness of striking against an armoured opponent, the most efficient methods of neutralizing an enemy took the form of pins, joint locks, and throws. These techniques were developed around the principle of using an attacker’s energy against him, rather than directly opposing it. There are many variations of the art, which leads to a diversity of approaches. Jiu-Jitsu schools (ryu) may utilize all forms of grappling techniques to some degree (i.e. throwing, trapping, joint locks, holds, gouging, biting, disengagements, striking, and kicking). In addition to Jiu-Jitsu many schools teach the use of weapons. Today Jiu-Jitsu is practiced both as it was hundreds of years ago, but also in modified forms for sport practice. Derived sports forms include the Olympic sport and martial art of judo, which was developed from several traditional styles of Jiu-Jitsu by Kano Jigoro in the late 19th century; and Brazilian Jiu-Jitsu, which was-in turn-derived from earlier versions (pre-world war II) of Kodokan judo. In Jiu-Jitsu there are five main sectors ("arts") of training. The first, the Art of Blocking, is used to defend against attacks. 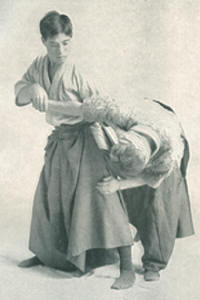 The second, the art of the Fulcrum Throw, is employed in modern judo. The third, the Art of the Non-fulcrum Throw is employed through throws involve little or no contact with the opponent. The fourth, the Art of Escaping (Hakko-Dori), is very crucial in many styles of Jiu-Jitsu. The fifth is the Art of Striking (Atemi-Waza). Some examples of martial arts that have been developed from or have been influenced by jujitsu are: Aikido, Hapkido, Judo (and thence Brazilian Jiu-Jitsu, and Sambo), and Kempo- as well as some styles of Japanese Karate. The Wado-ryu school of Karate, for example, is considered as a branch of Shindo Yoshin-ryu Jujutsu which has received strong influences from Okinawan Karate. The Japanese systems of hakuda, kempo, and shubaku display some degree of Chinese influence in their emphasis on atemi-waza. In comparison, systems that derive more directly from Japanese sources show less preference for such techniques. However, a few Jiu-Jitsu schools likely have some Chinese influence in their development. Jiu-jitsu ryu vary widely in their techniques, and many do include significant emphasis on striking techniques, though in some styles only as set-ups for their grappling techniques. 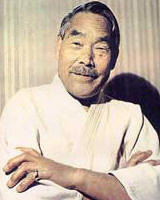 Brazilian Jiu-Jitsu (BJJ) was developed after Mitsuyo Maeda brought judo to Brazil in 1914. At the time judo was still often commonly referred to as "Jiu-Jitsu", which explains why this derivative of judo is called Brazilian Jiu-Jitsu rather than Brazilian Judo. BJJ dominated the first large modern mixed martial arts competitions, causing the emerging field to adopt many of its practices. Special Forces and police for many years. 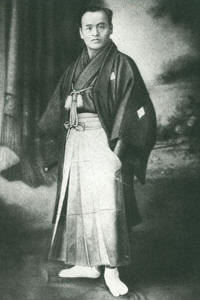 As to the origin and native land of Ju Jutsu, there are several opinions, but they are found to be mere assumptions based on narratives relating to the founding of certain schools, or some incidental records or illustrations found in ancient manuscripts not only in Japan but in China, Persia, Germany, and Egypt. There is no record by which the origins of ju Jutsu can definitely be established. It would, however, be rational to assume that ever since the creation, with the instincts of self-preservation, man has had to fight for existence, and was inspired to develop an art or skill to implement the body mechanism for this purpose. In such efforts, the development may have taken various courses according to the condition of life or tribal circumstances, but the object and mechanics of the body being common, the results could not have been so very different from each other. No doubt this is the reason for finding records relating to the practice of arts similar to Ju Jitsu in various parts of the world, and also for the lack of records of its origins.